Do you have a product that has multiple uses? Yes, we do. As a mom, I understand the importance of getting more bang for your buck. I have three multiple use products that are easily adapted to mom and/or baby. The first item is the belly oil. This item is an absolute must have for pregnant mommies. The multiple uses of this product ranges from easing the itchiness of stretchmarks to relieving the effects of hemorrhoids. Just dab onto a cotton ball and rub on the affected area. The cooling effect will take place quickly. The belly oil will nourish and tone skin throughout pregnancy and beyond. It is such a nice product to use on your belly as it is expanding with your new baby. No harmful chemicals or additives to worry a mom either. My second is our most popular item, eczema oil. The eczema oil can be used on your baby’s cradle cap or on mom’s dry skin/eczema. For cradle crap, you will notice a dry, flaky patch usually right at their hairline. You can simply roll on our eczema oil and feel comfortable knowing you have used a quality product with no chemicals on your precious baby’s skin. On mom’s eczema, simply remember to roll on yourself the same time you are applying to baby. Doing both at the same time makes it much easier for a new mom to remember to take care of herself as well as baby. The fact that this product is a roll on will make it so much simpler and less messy for mom. Finally, the witch hazel is our third multiple use product. It is a great skin toner and cleanser. It tightens the pores and makes your skin feel ready to face the day. The witch hazel is also good for poison ivy. It will quickly wipe away the oil from the plant that causes so many problems and then dry out the affected area. If you know you’ve gotten into poison ivy make sure you shower with soap right away. If you aren’t able to shower than use the witch hazel and wipe the oils off as soon as possible. Knowing you have been in poison ivy is half the battle. The fact that it works on poison ivy is such a plus for me. I’m a mom who seems to get poison ivy just by being in the same area the poison ivy is growing! Witch hazel is also good for disinfecting small cuts and scrapes. What a great product to have in your cabinet so that you can clean children’s booboo! So, it’s a great make up remover, poison ivy reliever, and a booboo disinfectant! That’s what I call a multiple use product. At the Homestead Company we know how the economy and this recession is affecting everyone. It only makes sense to try to find a product that has multiple uses. This will save you money and yet still give you a quality product without chemicals or additives. Make the Homestead Company a site you bookmark and come back to! What is eczema? Eczema is a chronically reoccurring inflammatory skin disease. You are usually predisposed to it genetically. It appears as dry, itchy, scratchy, scaly areas of skin. I get it yearly and it appears as a small, red, scaly spot on my arm. Other adults can get it on their hands, legs, arms, and neck areas. These are the most common areas. But it can occur anywhere. Babies tend to get it on their face, elbows and knees. It appears in older children on the back of the knees, inside the elbows, on the sides of the neck, and on the wrists, ankles and hands. Remember, just because it says this is where it normally occurs, it can occur anywhere. If I get it once will it come back? Just because you have it once doesn’t necessarily mean it will reoccur. In most cases though it will flare up and then go in remission and can flare up again. Many children who have it will go into remission but continue to have dry, sensitive skin as an adult. This is certainly true of my personal experience with eczema. Is it contagious? No, it is not contagious. It is something that is inherited. Not something that will rub off on your child’s friend. What are the signs of eczema? Characteristics of eczema are: scratchy, scaly, red patches of skin. It can sometimes get to the point of weeping or bleeding and crusting over. But it is usually caught before then. How do I treat it? If you catch it early simply moisturizing is a great way to go. 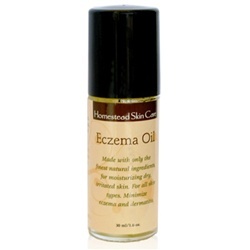 Our eczema oil is a great way to get your eczema treated quickly. Another natural way to treat your eczema is through nutrient dense foods. By simply improving your diet and eating more fruits, vegetables and whole grains can be a great way to try to stave off another outbreak or improve the outbreak you are having. 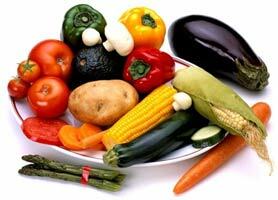 Nutritional medicine can be a very effective way to treat many disorders. How can I avoid another eczema outbreak? Remember you never know who to trust when you are asking questions on the internet. Always consult with your doctor if you think that you or your child might have eczema. What is the one product I can begin using that will help me switch to a greener skin care regime? If I had to choose one product to switch to it would be the alcohol free witch hazel. Witch hazel has so many healing properties. What is witch hazel used to treat? It is used to treat acne, hemorrhoids, varicose veins, bug bites, poison ivy, as a deodorant and so much more. The Native Americans have used this going back centuries. Hundreds of years of using something so pure and chemical free can not be wrong! Be careful of getting your witch hazel from the local drug store. It has alcohol in it and would not be good to use in tinctures and teas for internal healing. If you are going to buy one make sure it is alcohol free so you can use it in many different ways. So, how do I use it? For acne, consistent use is the best treatment. Clean and tone the face with the witch hazel twice a day. Once in the morning and once before bed.This will decrease oil production and tighten and tone the pores. The one you use for the evening has soothing chamomile and lavender in it to calm and soothe you. To use it on hemorrhoids, apply the witch hazel to a cotton ball and rub the affected area. This will prevent the itchiness that comes with hemorrhoids and it prevents bleeding. For varicose veins or spider veins simply dip your cotton ball in witch hazel and rub the affected area. It is very cooling to the area. Studies have been done that show the witch hazel can help to strengthen blood vessels. Due to its natural healing properties it is especially helpful on bug bites. Not only does it heal it also will make the itchiness recede. It is a great treatment for poison ivy. As someone who is very allergic to poison ivy I’m so glad to know that there is a natural remedy for me to go to. Witch Hazel reduces the swelling and the inflammation caused by the skins reaction to the poison ivy. There are other uses for witch hazel that we will get into in another blogpost. One for tinctures and teas that do some internal healing. Look for it and how to turn witch hazel into a deodorant coming soon. Don’t forget to checkout www.homesteadcompany.com for all your natural cleaning needs. It’s Double Coupon Day!! Hurry over to our Facebook Fan Page!